Ash Kelley is a busy Mama of three, who is always on the go. She drives all over the place, in search of free fun for her kids! 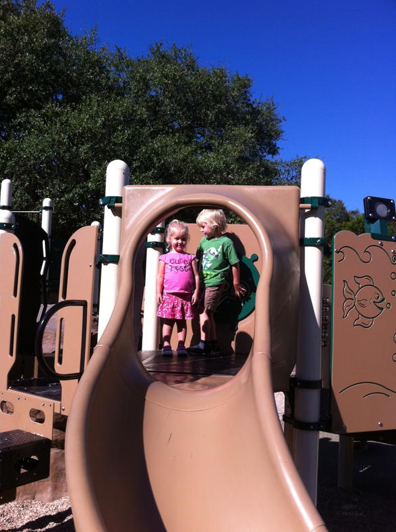 These are her top four picks for playgrounds in South Austin. It reminds me of a mini Zilker. Maybe because it’s shaded by oaks or because the playscape is the same color, or just because it does (probably the last one) but we like it. It’s has two playscapes one for older kids and one for the younger. 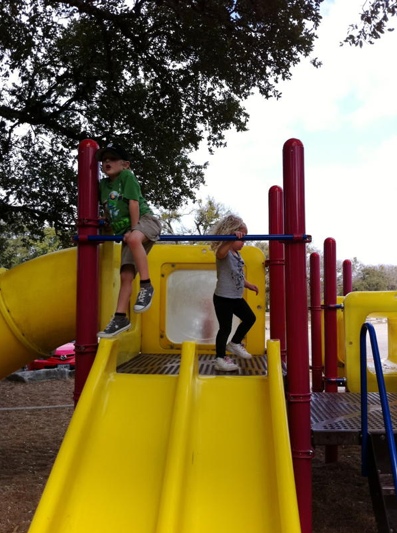 It has a jungle gym, balance beam, 2 baby swings, and 2 regular swings (they used to have another pair but got rid of them for some reason), soccer fields, basketball court, disc golf, hike trail and bathrooms. It’s got little pebbles instead of mulch on the playground and the soccer fields are great for flying kites. I like this park because I’m a pretty big spaz about having my kids in close proximity to me and I can play right there with them instead of getting stuck up in a tube or short ceiling thingy, you all know what I mean. 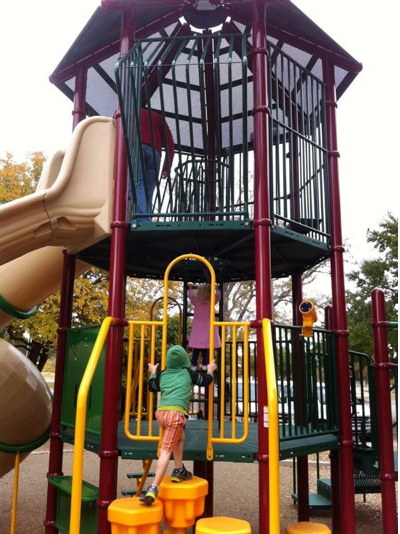 Smaller playground but is like three stories high and has two slides going down it. 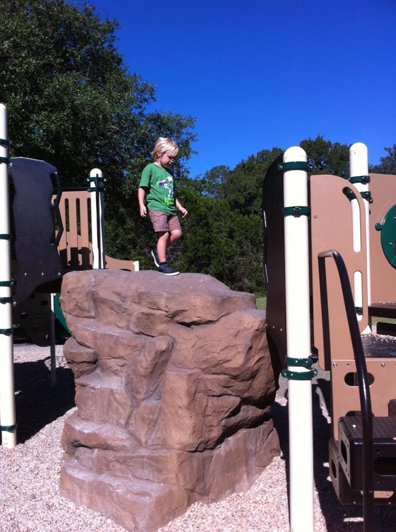 Playhouse, rock wall, swings, jogging trails and a swimming pool. The pool is only open Saturdays and Sundays for recreation swimming, the rest of the time is swimming lessons, or so I read. 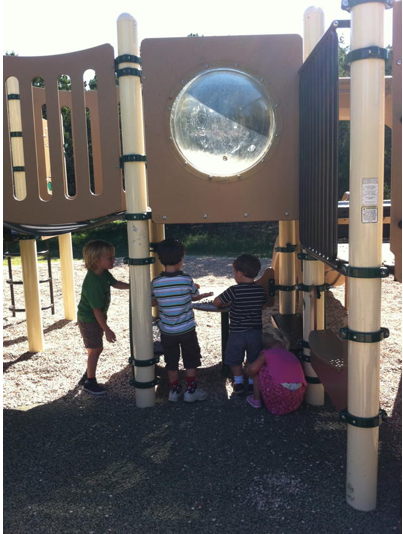 Two playscapes, pavilion, swings, disc golf and lots of trails! 4. 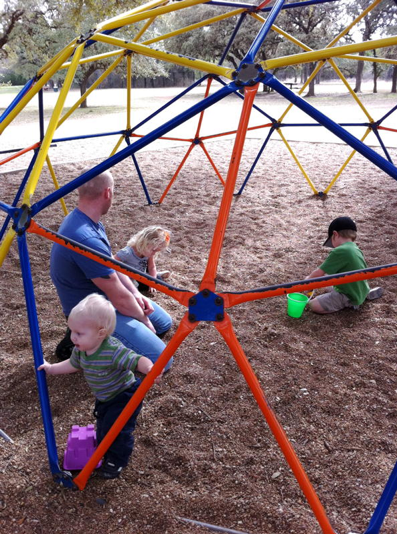 Playground off of Onion Creek Parkway on Pebble Beach Dr.
It’s kind of hidden and you might miss it. 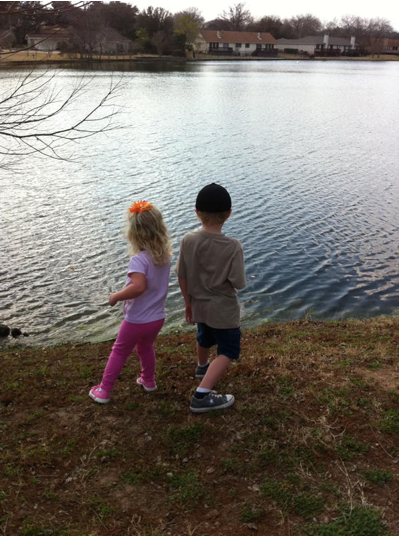 Once you see the lake stop and there is a paved path and once you start walking down it then you can see the playground. It’s fun and there’s lots to do. The lake is home to a swan and swans aren’t like ducks so be careful. 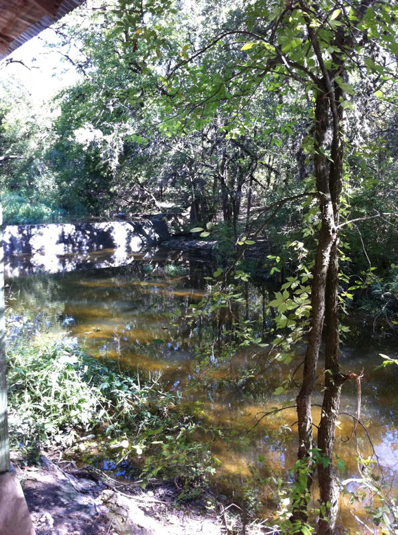 But there are GIANT fish in there. Ever seen the movie Big Fish? Like that size, no joke. So that is fun to watch from up high and away from the swan. 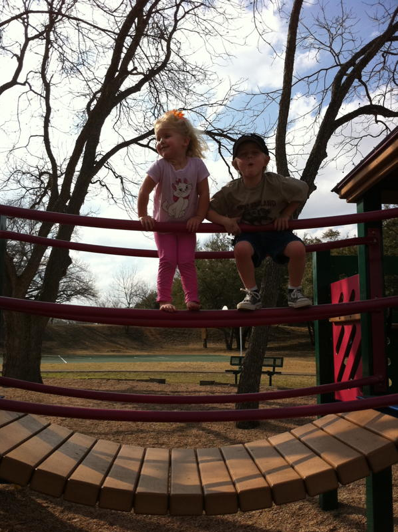 Stay tuned – tomorrow Ash will share her favorite playgrounds in Kyle and Buda!